Williston bed and breakfast travel guide for romantic, historic and adventure b&b's. 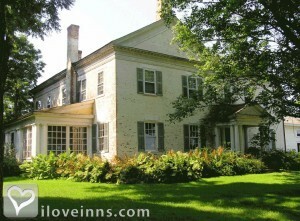 Browse through the iLoveInns.com database of Williston, Vermont bed and breakfasts and country inns to find detailed listings that include room rates, special deals and area activities. You can click on the 'check rates and availability' button to contact the innkeeper. Williston, Vermont offers a variety of opportunities for visitors to have fun. Golf enthusiasts can try Williston Golf Course, Rocky Ridge Golf Club, and Catamount Club Golf Course. For those who like to bike in the great outdoors, try the Marshall Avenue Bike Path and Williston Village Bike Paths. Visitors can pick their own fruits at Adams Apple Orchard. This can be facilitated by the innkeepers at Williston bed and breakfasts inns. Good restaurants in the area are Sakura Japanese Restaurant and Pastabilities. By Catamount B&B.